Hello Friends. We Meet after a long time. Today I will show you how to install WordPress on Localhost using Wamp Server. 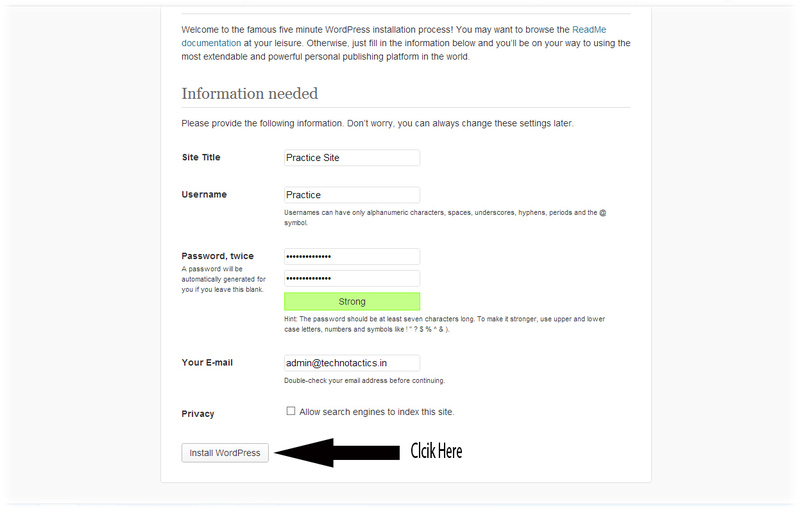 There are many advantages of installing WordPress on localhost. For e.g. you can practice your skills on WordPress File Editing, Import/Export of your Databases,Blogging Practice,Theme Optimization and More! 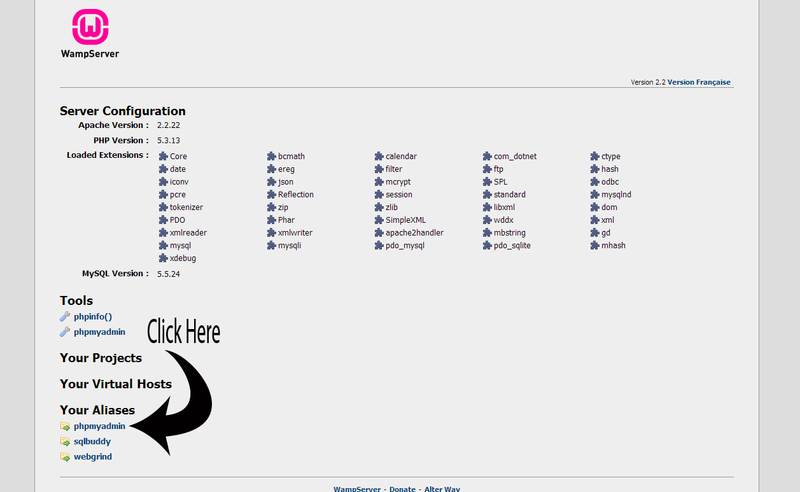 So you Know What is WordPress and Wamp Server?? Don’t Know! No Pro! Don’t Worry. 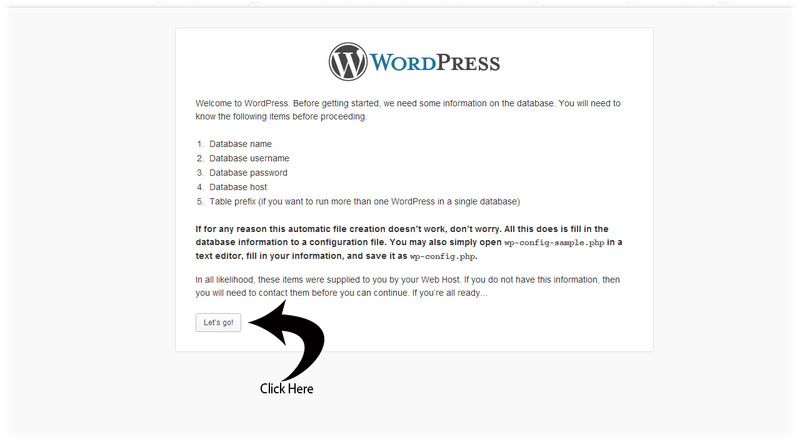 I will Show you What is WordPress and Wamp Server. WordPress is a 100% free 😛 and open source blog Software and a Content Management System (CMS) depending on PHP and MySQL. It has Many Functions along with a plug-in Structure and a Design program and Theme option. WordPress is currently the most well-known Blogging Platform on the Web. Wamp Server is a Windows based web development environment. WAMP means established from the name of the Windows operating Systems and other package are: Apache, MySQL and PHP. Apache is a web hosting server. MySQL is an open-source data Software. PHP is Most Well Known Scripting language. which is allows to operate information organised in a database Software.Other applications may also be involved in a wamp Server such as phpMyAdmin which provides a gui for the MySQL database Software. Step 1: Install WampServer on your Computer Then Double click on WampServer. 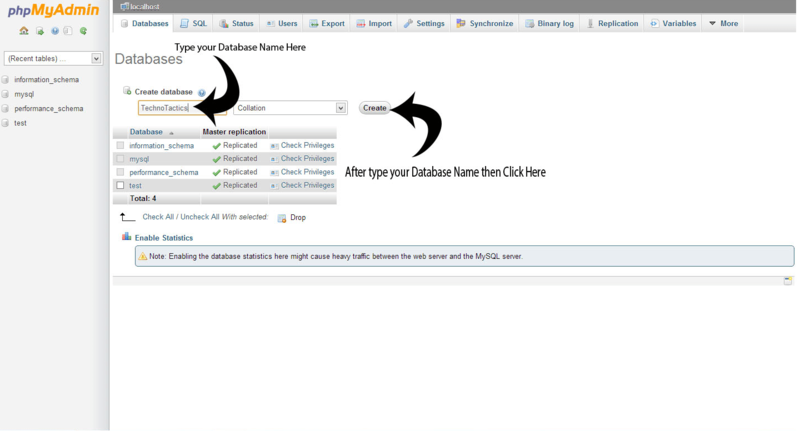 Step 3: After open PhpMyAdmin Then Create Your Database For Wordpraess Installation. Step 5: Open your Browser and Go to “http://localhost/wp-login.php” or “http://127.0.0.1/wp-login.php” and click on create a configuration file Button. After Filled up your Database Details then Click Submit Button and Run the Install. 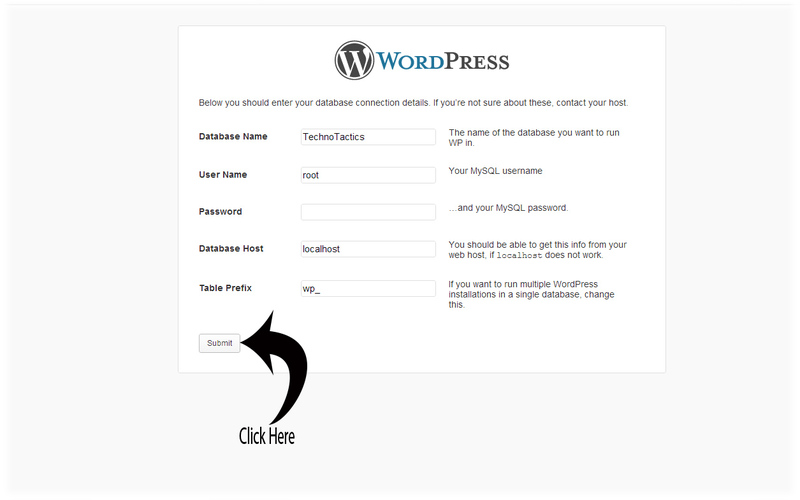 Step 7: Now Simply give a site Title , Username, Password and Email Address and click on Install WordPress Button. Very nice post buddy..Its a Best way to test and edit wordpress site locally. And you have done a wonderful job for beginners. Thanks For Sharing your Nice Words! and Stopping by here! Having WordPress locally on your computer is really luxury when you are customizing your theme or testing different plugin. Its great that you’ve explained the procedure very vividly and the illustrations are really helpful. Great tutorial for newbies. Very educational. Thanks For Sharing your Kind Words! and Dropping by here! I feel you have Linux background, am I correct on that? The way you have explained the things I’m really impressed.Keep the great work. Yes ma’am Right I have worked with LINUX OS to a great extent and so I am fairly acquainted with it. This really makes the work simple Mosam 😉 and It’s for better than Youtube videos as you have specified a clear explanation with images. Nice detailed tutorial making it simple for newbies to install WordPress locally. 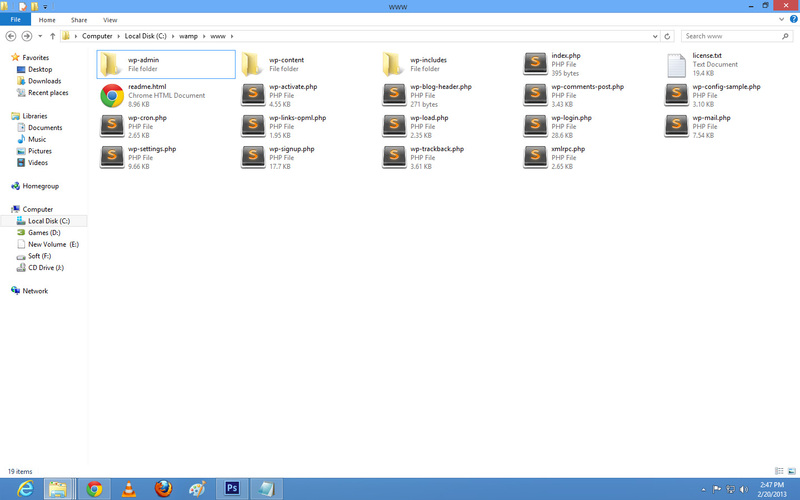 It is a good practice to try changes in WP locally and then transfer them on actual online server. Glad you like this post! Thanks For Stopping by and Sharing your Views! Thanks for this post. But can You tell me, after installing wordpress according to your method its saying “You dont have permission to access this page” . Do you know show to fix it? plz Send me the screenshot?? Thank you in advance for an amazing informative article. Installing WordPress using this way is very comfortable. I didn’t know about this. Thanks for share dear.